Do you or a loved one suffer from type 2 diabetes? 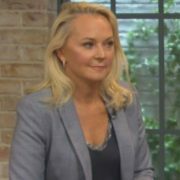 Join Dr Eva Orsmond for a special information evening in Dublin, Galway and Cork where she explains how you can potentially reverse it and come off medication for good using her diet plan, some supplements and a little hard work! Hear from her clients who have successfully done it. Make 2019 the year you take back control of your health. Watch Dr. Eva talk about her new book! 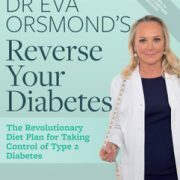 http://www.orsmondclinics.com/wp-content/uploads/2019/01/Evas-book-cover.jpeg 303 241 Clinic Orsmond http://www.orsmondclinics.com/wp-content/uploads/2016/12/Orsmond-Clinics-Logo.jpg Clinic Orsmond2019-01-16 18:54:592019-01-23 10:45:30Watch Dr. Eva talk about her new book! 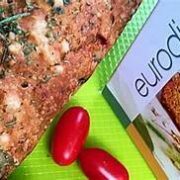 Want to see how the Eurodiet bread is made? http://www.orsmondclinics.com/wp-content/uploads/2018/11/Eurodietbread.jpg 182 374 Clinic Orsmond http://www.orsmondclinics.com/wp-content/uploads/2016/12/Orsmond-Clinics-Logo.jpg Clinic Orsmond2018-11-15 14:27:362018-11-15 15:34:29Want to see how the Eurodiet bread is made? 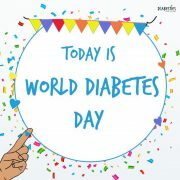 November 14th is World Diabetes Day. Watch this video of how Denis reversed his Type 2 diabetes with our diet! Type 2 Diabetes is officially reversed when the HbA1c (measuring the 3 month average blood glucose levels) stays within the non-diabetic range after people re-introduce carbohydrates into their diet. Denis has now, a year after his Very Low Calorie Ketogenic Diet (VLCKD) weight loss programme with us, still remained within the non-diabetic HbA1c range while now eating a broad range of ordinary foods! Watch his inspiring video below. Treat the cause, not the disease- and ditch the drugs! 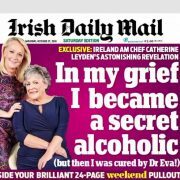 Irish Daily Mail published the following Dr. Eva’s article on ‘Getting to the root of the problem’ this Tuesday the 30th of October, 2018. In this piece, she explains why we need to ditch the drugs in favour of functional medicine. “ Have you even been to your GP with an ailment, been given medication that helped for a while but the health issue came back, or another problem arose? This might just be that the medication was given to treat the symptoms but the cause of the disease is still there, untreated. Our fast-paced lifestyle has led to a desire for instant treatment; a quick-fix solution and a ‘pill for every ill’ mentality, but we are not doing ourselves any favours. Take high blood pressure for example.The issue is initially treated with one drug and, with time, more are added to keepthe blood pressure at an acceptable level. But does the patient know what is causing the issue to begin with? 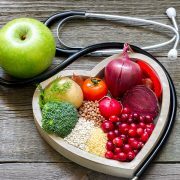 In most cases the cause can be very simple,but few GPs seem to have the time to discuss a holistic approach, taking into account one’s lifestyle, nutrition and so on. So, the patient continues to take the drugs and suffers the side effects of these for the rest of their lives. For more complex problems and chronic conditions like cardiovascular disease, or chronic pain syndromes like fibromyalgia and arthritis, and even autoimmune diseases, we have experts (e.g. rheumatologists, endocrinologists, gastroenterologists, neurologists), who specialise in the system that is being affected. While these experts know a lot about their particular field, it worries me that they do not look beyond the problem, viewing the body as an interactive organ, to get to the root cause, as well as looking at the short- and long-term side effects of the proposed treatment. In Western countries, the occurrence of autoimmune diseases has increased dramatically in recent decades, and over 100 autoimmune conditions have already been recognised. Some of the most common include: Coeliac disease, diabetes mellitus type 1, Crohn’s disease, ulcerative colitis, multiple sclerosis (MS), rheumatoid arthritis, psoriasis, Hashimoto thyroiditis, and systemic lupus erythematosus (SLE). It has been estimated that in the US alone, 50 million people are suffering from some type of autoimmune disease. While the cause of autoimmune disease is not completely understood, there are several theories and contributing factors relating to both genetic and environmental factors that can affect its development. One of the interesting factors, from my point of view as a weight loss expert, is that the obesity rate during the past 20 years is climbing at the same speed as autoimmunity disease. Quite clearly there is a direct link to what we eat and our overall health. Being overweight causes a state of low-grade inflammation within the body and this can contribute to the development of metabolic syndrome, diabetes, and cardiovascular complications. According to recent research, obesity and low-grade inflammation are also seen as possible risk factors to certain autoimmune diseases like rheumatoid arthritis, multiple sclerosis, psoriasis, psoriatic arthritis, inflammatory bowel disease, type 1 diabetes and Hashimoto thyroiditis. Obesity is also an aggravating factor for rheumatoid arthritis, systemic lupus erythematosus, psoriasis and psoriatic arthritis. But there is hope. Functional medicine has (thankfully) been making a breakthrough over recent years. This science-based, holistic approach works effectively by looking at the patient as an individual with their own unique ecosystem. It appreciates that each individual body works differently to others and therefore needs to be treated in its own specific way. This obviously is ongoing from the time of the first assessment with the practitioner,and the patients play an active part in the healing process. Unfortunately many people are still so unaware of the power of correct nutrition, optimal vitamin and mineral status, and how achieving these can stop many chronic health conditions from occurring. What we eat, how we digest and absorb our foods,malongside our lifestyle choices, all impact our health. One of the leaders in the field is Dr Datis Kharrazian, author of Why Isn’t My Brain Working? and Why Do I Still Have Symptoms When My Lab Tests are Normal? He has developed evidence-based models to treat autoimmune, neurological, and unidentified chronic diseases with non-medicinal approaches such as diet, nutrition, and lifestyle treatments. He has also trained groups of educators to teach his clinical models in managing chronic disease and has developed several post-graduate programmes in areas such as blood chemistry analysis, hormone and endocrine management and gastrointestinal management among others. In a recent article, Dr Kharrazian mentions that a leaky gut (intestinal permeability) is now considered to be a gateway for environmentally-induced autoimmune disorders. Leaky gut is quite common, and when the gut becomes more permeable it allows undigested food particles, bacteria, and other pathogens to escape into the bloodstream triggering sensitivities, allergies, and inflammation in other parts of the body. For this reason his autoimmune protocol (AIP) focuses on immune system regulation through better gut health and what can be done to prevent and or address intestinal permeability. This is what functional medicine is all about. It’s about you, the individual . Doctors, myself included, need to first recognise that patients are individuals with unique ecosystems. They must look at each individual’s different factors such as genetics, toxicology, nutrition, psychological issues, stress levels — the whole big picture. It is vital we look at the way the body works in systems versus focusing solely on the disease. In that way, doctors have the means to devise a set of tools they can use to work with the individual in a systematic way. 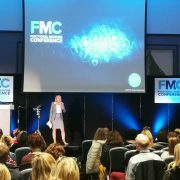 Dr Eva will be speaking at the third annual Lifestyle and Functional Medicine Conference in Galway, on November 3 and 4, along with Dr Datis Kharrazian and other world leaders and practitioners of lifestyle and functional medicine. See fmcireland.com for tickets and information. http://www.orsmondclinics.com/wp-content/uploads/2018/11/IMG_20181103_164522.jpg 3968 2976 Clinic Orsmond http://www.orsmondclinics.com/wp-content/uploads/2016/12/Orsmond-Clinics-Logo.jpg Clinic Orsmond2018-11-01 16:36:272018-11-06 11:40:29Treat the cause, not the disease- and ditch the drugs! Sign up now for our 6 week non-medical programme with the Very Low Calorie Ketogenic diet (VLCKD) and lose 10% of your weight by Christmas. Don’t weight! Call 01 2827500 now! Orsmond Clinics in Dublin, Cork and Galway. Read in today’s Daily Mail for Catherine Leyden’s healthy transformation! 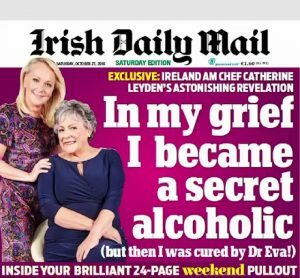 Catherine has shared her story on how she found herself seeking for comfort from alcohol after her beloved sister passed away. Read her full story on how she has now lost 2 1/2 stone and kept off alcohol since starting on our programme! http://www.orsmondclinics.com/wp-content/uploads/2018/10/Catherine-Leyden.jpg 1002 1004 Clinic Orsmond http://www.orsmondclinics.com/wp-content/uploads/2016/12/Orsmond-Clinics-Logo.jpg Clinic Orsmond2018-10-27 14:29:002018-10-31 08:00:35Read in today's Daily Mail for Catherine Leyden's healthy transformation! Shona is so happy with her weight loss so far! “Then, from a physical side of things, I’ve seen massive difference in the 45 days. I’ve lost 10% of my body weight, which has been absolutely incredible. I keep changing my wardrobe; my husband isn’t so happy as I’m spending all our money on new clothes! But the difference that it has made to me even in my mental health and in how I’m feeling about myself has been absolutely astronomical. 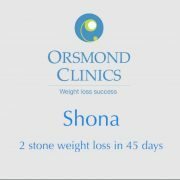 http://www.orsmondclinics.com/wp-content/uploads/2018/10/Shona_sucess-story.jpg 1070 1070 Clinic Orsmond http://www.orsmondclinics.com/wp-content/uploads/2016/12/Orsmond-Clinics-Logo.jpg Clinic Orsmond2018-10-18 17:29:582018-10-31 08:46:34Shona is so happy with her weight loss so far! Welcome to our new clinic in Cork! Orsmond clinics are now open in Douglas,Cork! Come and join our programme for a successful weight loss transformation. We are delighted to announce the opening of our new clinic in Douglas, Cork. Come and see us to have a chat about starting your own personal journey of becoming healthier and fitter in 2018! We have a great range of diets and programmes to suit everyone. All we need from you is your commitment as we are here to help you with planning your diet around your lifestyle, every step of the way. Our clinic is open on Mondays from 7am to 2pm, and Thursdays from 12pm to 8pm. 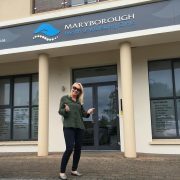 Our address is: Unit 5, Block C, The Mall, Maryborough Woods, Douglas. http://www.orsmondclinics.com/wp-content/uploads/2018/10/Cork-orsmond-clinic.jpg 1074 1080 Clinic Orsmond http://www.orsmondclinics.com/wp-content/uploads/2016/12/Orsmond-Clinics-Logo.jpg Clinic Orsmond2018-10-18 17:19:302018-10-31 08:56:37Welcome to our new clinic in Cork! 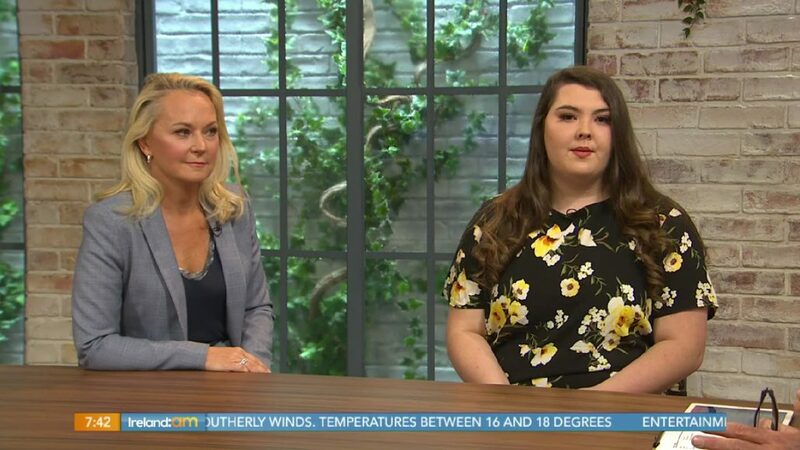 Dr Eva Orsmond appeared on Ireland AM on the 9th October 2018 to discuss the benefits of weighing of children in schools. According to Dr Eva, unfortunately, parents are not very good at recognising the excess weight in their children. This is why Dr Eva is an advocate for early intervention, to prevent the kids becoming overweight in the first place. She feels that school is the best place to do this, as it has worked so well in the Scandinavian countries, where monitoring children’s weight is as normal as monitoring their blood pressure. “I’m really talking about prevention here, and I just wish that I would be able to explain this in a way that people would understand how positive it is….Weight should be seen as a really important parameter for health”. The full discussion is now available on the Virgin Media Player, click the image below to watch it.